Deluxe CD/DVD edition includes a bonus DVD. 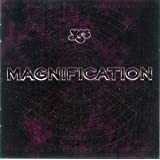 2011 album from the Progressive Rock legends. Mixing the best elements of their '70s and '80s work, Fly From Here is an excellent return to form for the band. 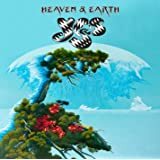 Longtime band members Chris Squire, Steve Howe and Alan White are joined by former keyboardist (and Asia/Buggles member) Geoff Downes and new vocalist Benoit David. Produced by Trevor Horn. for 246 albums, discussions, and more. 5.0 out of 5 starsYes! They Still Fly High!!! 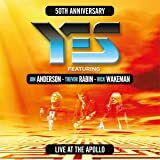 I've been a Yes fan for quite some time now and was rather reluctant to purchase this Cd of 2010 Yes. Watching some of the new videos on Youtube with lead singer David Benoit did not impress me at all. I was torn between this record or the Jon Anderson/Rick Wakeman cd that was also out. I was reluctant on both counts. 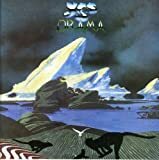 But, as memory told me, I was a big fan of the 1980 Yes record 'Drama' which featured Trevor Horn on vocals and Geoff Downes on keyboard. 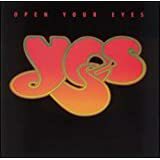 A very uptemple album back then, but not really a YES album by a long shot. Or was it? All depends on ones viewpoint. 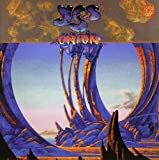 Yes has had a rotating door on band members since the third album, and they continue to add or subtract members. 'Fly From Here' was co-written and produced by Trevor Horn, and the album has some of the feel of the Drama record. BUT, there is a lot of primitive YES sound here as well. 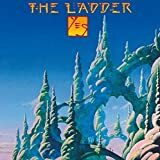 Steve Howe continues to impress me as a great innovative guitarist (co-writer of many Yes classics), and Chris Squire plays some mean base lines on this one (as in early Yes). Alan White backs it all up with some great drumming. Remember, Alan came on board during the 'Close To the Edge' concerts and played in the musical epic 'Tales of Topographic Oceans' after Bill Bruford left the band. So when Jon Anderson and Rick Wakeman left the band due to health issues a few years ago, the band decided to move onward. Of course, Anderson is well now but still was not included in this latest creation. 'Fly From Here' is a great vehicle for Benoit as the new lead singer. Now, even though Benoit sounds a little like Anderson, he does not have half the singing potential, nor writing potential, of Anderson. Anderson is the heart and soul of Yes, and without him they are just another band - no matter how great they are together. So, Benoit singing classic Yes material is fine, but he lacks a certain quality that can only come from his predisor. With these new songs (some going back to 1980) he is able to be his own self and mark his own territory. 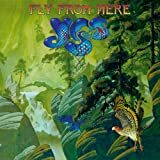 But 'Fly From Here' is nowhere close to a classic Yes album with Jon at the wheel. It is a great album, with great songs, and great musicianship (as are all Yes albums), but the heart was missing. Now the title song 'Fly From Here' is an epic song of over 20 minutes broken down into smaller segments. It feels good. And it sounds good. But you have to remember, most of the Yes membership are up in their sixties or seventies. They are not spring chickens. Yet here they are playing quality music that blows some of the newer bands out of the water. The six part lead song is followed by five other songs that all stand on their own. Squires 'The Man You always Wanted Me To Be' is actually pretty good. It is a great bridge from Fly From Here to the other songs on the musical plate. 'Life On the Set', 'Hour Of Need', Solitaire (Howe), and 'Into the Storm' are all wonderful songs and show us the great potential that Benoit brings to the band. It is fair to compare this recording with Drama, since neither features Anderson or Wakeman. Not fair to compare it with Anderson lead albums of the past. But Anderson and Wakeman are still alive and playing music. So who knows what the future will bring. If Anderson has slowed the band down, maybe it is time to go a different route. But Yes without Anderson will never be the same band. That is a given. I give this record five stars because it is a great effort from one of my favorite all time bands who always seem to have one more card up their sleeves. Yes may Fly From Here now, but where they land is yet to be seen. 5.0 out of 5 starsFull of Drama? This review refers not only to this Japanese version of this release, but also to the CD no matter what format you own or might want to purchase. I purchased all three versions of this miraculous new release (including the limited edition box set) and have not taken it out of my CD player since! 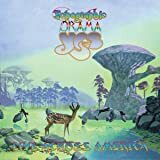 I was hesitant to even consider listening to YES without Jon Anderson, but then remembered the Drama album from 1980 with Trevor Horn who not only sang on the Drama album but also produced the 90125 release. What was ironic about my decision to give it a listen was that I have no prior knowledge that not only Trevor Horn would produce this masterpiece, but Geoffrey Downes who also played keyboards on Drama was recruited to join YES again. 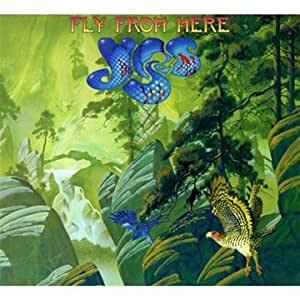 The song, "Fly From Here" is an epic done in several parts and was written in 1980 and never used by YES at that time. If you want to hear a rough live version of this song listen to, "The word is YES", (a three CD live set). The new polished version has Trevor Horn written all over it not only as the producer, but David Benoit's vocals have a distinct hint of a Trevor Horn influence. The band has once again been reborn and the reviews and sales are climbing all the time. 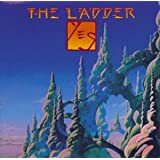 After ten years YES has found the magic once again to create a work of art which has some comparisons to Drama, but can stand on it's own as the first featuring the new vocalist who has filled the Jon Anderson slot with grace and gives us YES fans hope that this band can and will live on! My only complaint is that the Japanese version has only one track which is the extended version of, "Hour of Need", which in itself was worth the extra money for me. It does not have an extra track that was not included on the Drama album as Amazon has indicated here. Whatever version you might purchase I think you will find that YES still has what it takes after 40 years to WOW it's fans and lets us know that great music can still be made it an age where record company marketing is driven by mindless drivel by new bands that have no concept of what real progressive rock is!